Welcome to The Grill at Leon Springs! Located just outside San Antonio, we provide a remarkable dining experience for everyone to enjoy that is creative and entertaining unlike any other. You will find that both the inviting atmosphere of The Grill and the delicious cuisine reflect a beautiful combination of European style mixed with the Texas Hill Country. As a restauranteur who takes pride in delivering quality customer service, to every person who comes through our doors, we make sure you receive only the best experience. Our accomplished kitchen’s reputation for scratch cooking surpasses expectations by taking your preferences into account. Chef du Cuisine and owner of The Grill at Leon Springs, Thierry Burkle, oversees every aspect of the restaurant, bar and catering operations – all day, every day. Please enjoy yourself as we welcome you to our home away from home. Chef Thierry has designed our menu to be broad and affordable to accommodate all appetites, making gourmet accessible to everyone. It’s no secret that we have become a neighborhood favorite for residents of The Dominion, Fair Oaks Ranch, Boerne and of course Leon Springs. The Grill at Leon Springs is a place where friends meet for Happy Hour, late-night dancing, intimate dinners and family meals. As for catering, businesses rely on us for quality catering and private parties. Chef Thierry Burkle, began his culinary career in his native Paris and moved to Washington D.C. to continue his work with French chef Michel Laudier at the highly regarded Rive Gauche. He remained in the nation’s capital as part-owner of Place Vendôme, recognized as one of the 50 Best Restaurants by both The Washingtonian and Esquire Magazine. 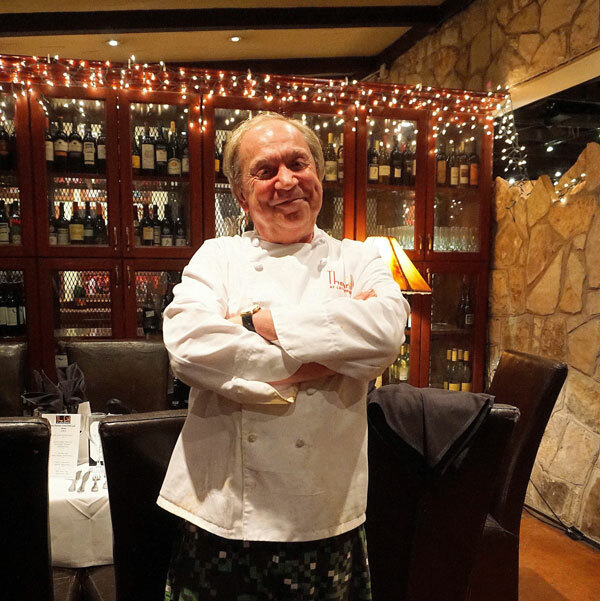 He and business partners set their sights on San Antonio, opening L’Etoile in 1984. That acclaimed progressive French restaurant closed in 2009, not long after Burkle and Obadia opened The Grill at Leon Springs. Burkle is a member of the Master Chef Association and continues to travel to France frequently. Are you wanting to bring with you the delicious taste of The Grill at Leon Springs to your next event? Our catering services are unmatched for commercial caterers, we work with you to provide a menu that’s tailored to your needs and will satiate all your guests. With our catering, we deliver quality cuisine at an affordable price that you can appreciate. Not to mention, our professional staff are trained and fully equipped to handle your event, no matter how big or small. Contact us today to see how we can help you can make your next event one to remember!